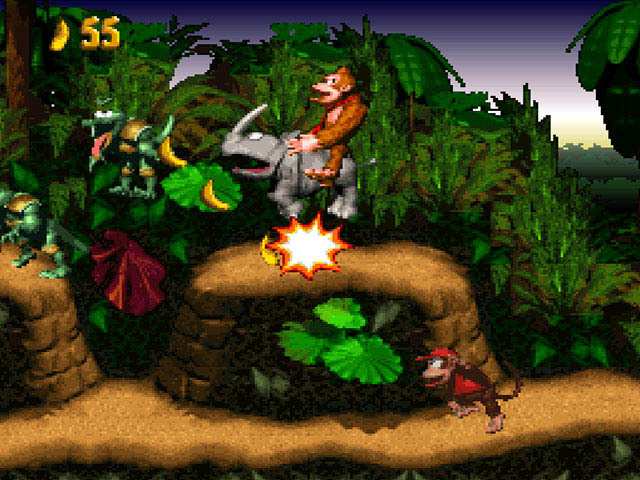 Donkey Kong Country came out in 1994 for the Super Nintendo and developed by Rare. This is a side-scrolling platformer game and one of the best Multiplayer games of my childhood. My little brother and I would play this forever or at least until we beat the game. Do you see this memory? Are you crying yet? Because I am. My favorite level is the water level (I forgot what it was called) and at that time, it was the hardest level for me and my brother. I thought it was pretty cool because I wondered how monkeys can breath underwater and I loved the music for it too. So nostalgic. I’m listening to the music in my head right now. I have Donkey Kong Country for the Nintendo 3DS now and I love it, but it’s still not the same like it was when I was younger. Have you guys ever played Donkey Kong Country? ← Shenmue I and II HD Remasters are coming soon! I never got a chance to play this one unfortunately.